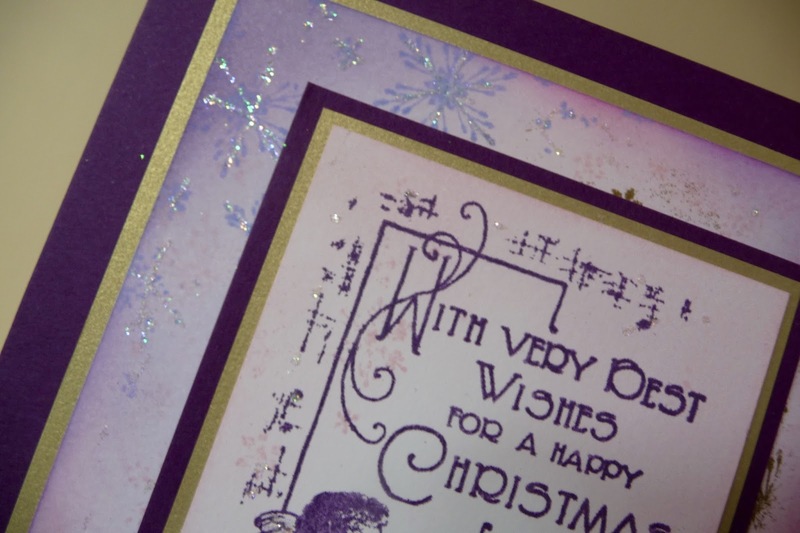 I've been ill for the best part of a fortnight so had to finish off my cards for posting in a mad rush. 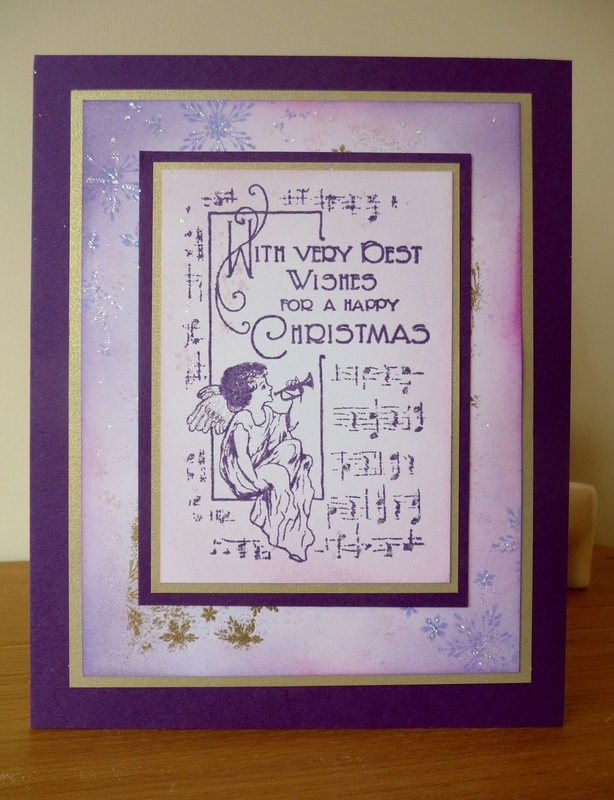 This is a flat card, I try to do these at this time of year as we have relatives who are scattered about the country and the postage soon mounts up. The main stamp is by Crafty Individuals, I've used distress inks to make the backgrounds. 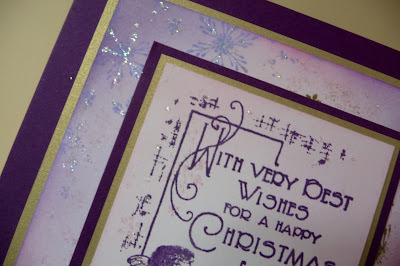 The snowflake stamp is by Chloe, I've roughly embossed it and added Glamour Dust in places.